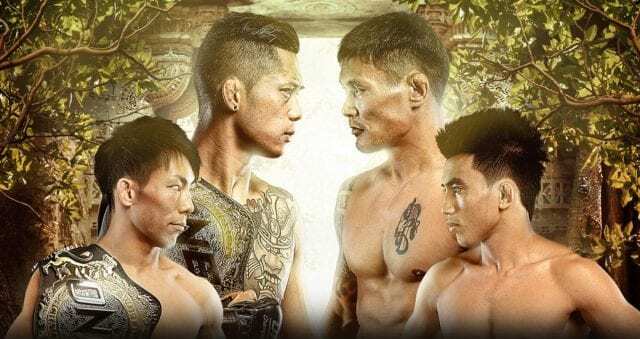 ONE Championship returns to the Philippines this week with ONE: Roots Of Honor going down on April 12 in Manila’s Mall Of Asia Arena. The promotion’s recent Japanese debut was a massive success with preliminary worldwide viewing figures estimated at around 40 million. ONE’s aim going forward will be to ensure Tokyo’s numbers are not a one-off occurrence and to keep newfound fans tuning in for further events. This weekend’s card may not have the same hype surrounding it as ONE: A New Era, but the 15-bout event headlined by a pair of stellar title fights contains no shortage of exciting matchups. Alongside the title fights the card will feature a pivotal welterweight clash between James Nakashima and Luis Santos, as well the last Flyweight Grand Prix quarterfinal. ONE: Roots Of Honor will also see the promotional debut of Vietnamese-American Bi Nguyen. The 29-year-old atomweight shot to fame in the States when she appeared on the reality TV show “Survivor” in 2018. ONE will hold their first event in Vietnam later this year. If Nguyen delivers the goods inside the cage, she could be looking at a main card push shortly. ONE: Roots Of Honor will contain 11 mixed martial art bouts and 4 ONE Super Series contests. 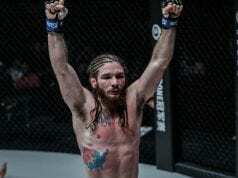 The ONE featherweight and strawweight straps will be on the line in Manila. In the main event, returning featherweight champion Martin Nguyen will defend his title against Mongolia’s Narantungalag Jadambaa. Less than 12 months ago, Nguyen, the ONE featherweight and lightweight titleholder, was bidding to become a three-divisional champion. The 30-year-old was arguably the face of the promotion at the time and was riding a wave of success. 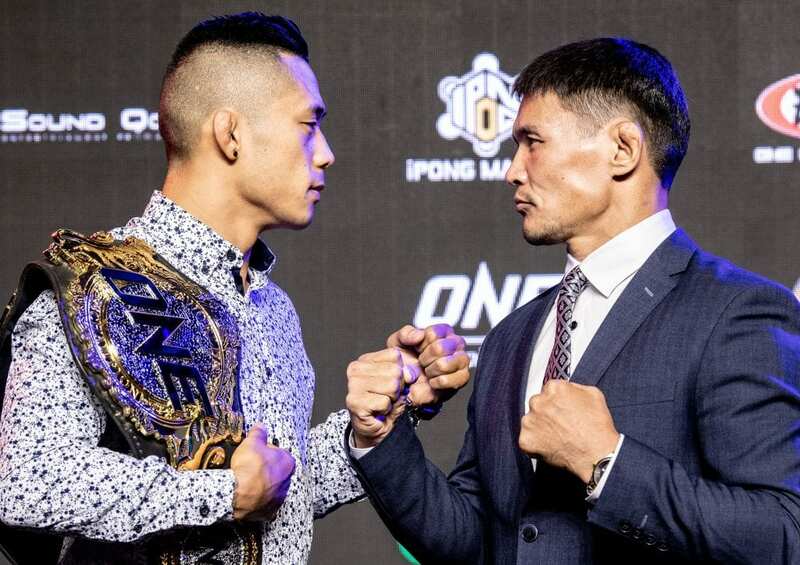 Nguyen’s quest to capture a third title faltered after a unanimous decision defeat to Kevin Belingon when the two fought for the interim bantamweight belt. The Australian was then forced to vacant his lightweight belt in September following an injury. Now fit and raring to go, it will be interesting to see how Nguyen fares in his return bout. At 43 years of age, Jadambaa will struggle to keep pace with Nguyen if the fight goes the distance. However, the former featherweight champion packs a considerable punch. If Jadambaa can get in Nguyen’s face and keep the fight in his range, he has all the tools to take home the win. The co-main event will be the anticipated rematch between Japan’s Yosuke Saruta and hometown fighter Joshua Pacio. Saruta captured the title from Pacio back in January in a closely-fought contest. After five rounds of back-and-forth action, Saruta took home a split decision victory. ONE CEO and Chairman Chatri Sityodtong disagreed with the judges and felt a rematch was warranted. While the home field advantage may play in Pacio’s favor, the odds are that Saruta will retain his title. The 31-year-old took the last bout on short notice and now with a full training camp behind him will be an even tougher prospect for the Filipino to overcome. If James Nakashima can maintain his undefeated record against Luis Santos, he will almost certainly book himself a title shot. The 30-year-old former LFA welterweight champion got the job done in his promotional debut. Nakashima outworked the previously unbeaten Russian Raimond Magomedaliev to earn a convincing unanimous decision victory. Training out of Arizona’s MMA Lab, Nakashima has developed a reputation as a relentless grinder who wears downs his opposition. The former college wrestler has gone the distance in all 10 of his professional bouts. Still, Santos will provide a stern test for Nakashima. The veteran is one of the most experienced fighters in the division. The powerful Brazilian has 38 KO victories and is a BJJ black belt. In his last outing, it took Santos just 33 seconds to destroy Japan’s Daichi Abe with a series of punishing body kicks. Nakashima will need to push the pace and not allow Santos to settle into his rhythm. ONE: Roots Of Honor will feature a pair of ONE Super Series Kickboxing bouts that will be nothing if not entertaining. Australia’s Andre Meunier will take on Brazil’s Anderson Silva in a heavyweight contest, while later on the night, Moroccan Ibrahim El Bouni will go toe-to-toe with Romania’s Andrei Stoica. Both contests are made of experienced stand-up fighters capable of sending their opponents to the canvas. There are several strong wrestlers and submission specialists on this card, so these two bouts will be the perfect palate cleanser for fans wanting a break from grappling.